 Trends in nail polish and nail art also come and go. Last time, everyone was raving about the Craking nail polish, now we see Liquid Sand nail polish everywhere. One thing that I noticed though is that they're too expensive! So here's how you can get those sandy-textured nail polish on your nails without spending too much! I was at National Bookstore when I saw these cute sparkly powders. 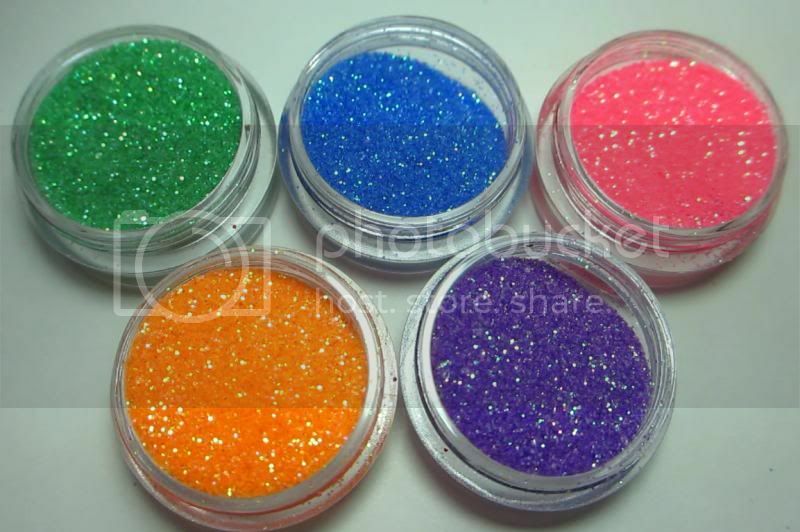 The set costs P99 Pesos, contains 12 different colors of glitter powders. If you know BYS, they sell this exact powder that comes in set with a nail polish and a brush. They call it Glitter Dust but that is also expensive, like the OPI Liquid Sand polish. So if you can get the powder for less then it would really be awesome! You also need a nail polish that is the same color as the powder that you want on your nails. 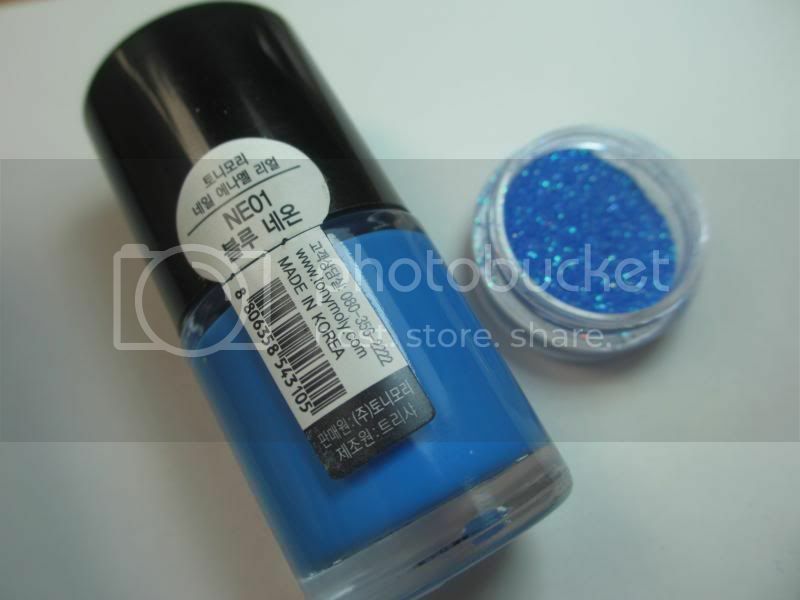 I'm using Tony Moly NE01 Blue Neon nail polish. I noticed that I always reach for this nail polish whenever I need a blue one. It's my favorite! You need top coat or clear nail polish. 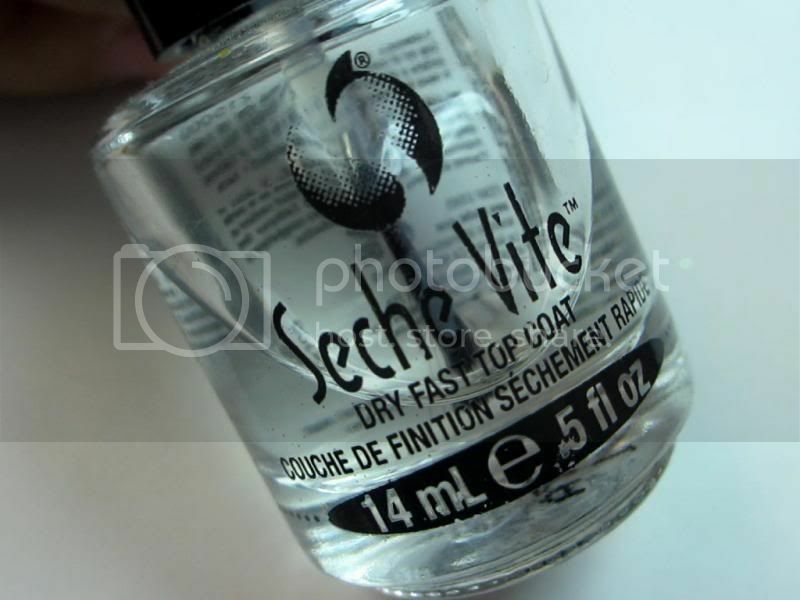 If you want more texture on your nails, you can skip the top coat. But be careful when washing your hands because the powder might fall off. For a smooth finish, apply top coat. Doing so will also make the powder last longer. I hope you like my DIY Liquid Sand nail polish!